Welcome to Better Know an Author, a feature title I stole from Colbert Report because I miss it so, which will introduce you to a fabulous author of LGBTQIAP+ books every month! To kick it off, I am so delighted to present my beloved critique partner, Marieke Nijkamp, whose debut, This is Where it Ends, is a freaking New York Times bestseller for five weeks running! How badass is hitting the New York Times bestseller list? Spare no details. Well you got my super ineloquent texts, so I can hardly pretend I was calm and collected. Truth is, after I got the phone call, I sat on the couch and watched my Twitter explode and my hands were shaking so hard I could barely lift a drink—or respond to the social media outburst. It took me three days just to get caught up on the tweets and the emails. It was, and is, the most surreal and the most wonderful experience and I’m deeply grateful to my publisher and to my fantastic readers for getting the book there. It’s extremely badass, and I love that it means the book will reach even more readers. What music do you write to, if any? It depends! For TIWIE, I had a fairly specific (and super sad) playlist, with a lot of poppy songs. With my current WIP, my playlist is far more classical and instrumental, with an additional and rather eclectic collection of Dutch songs. I’m not entirely sure how that happened either. What’s your ideal way to spend fifty-four minutes? What’s a particularly conscious choice you made in your representation in This is Where it Ends? Gah. There was one very conscious choice I made very, very early on, but sharing it is such a spoiler. That thing that happened. Or didn’t happen, depending on your point of view. That was a very conscious choice. What’s something about one of your leading characters in This is Where it Ends that didn’t make it on to the page? What’s the first queer representation you saw in any medium that really stuck with you, for better or for worse? Hm, I think the first rep that really stuck with me was seeing Willow and Tara in Buffy. I think it might have been the first time I saw queer characters in any medium, period. And there was so much about it that was incredibly empowering. Badass queer witches? Yes, please. Characters I could identify with? Wow. Unfortunately it was also my first introduction to Dead Lesbian Syndrome. Or as TV Tropes so classily calls it, Bury Your Gays. I loved the positive aspects of Willow and Tara’s relationship, but I didn’t realize until much later how pervasive it was to see that “model” relationship come to a bad ending. To see so many queer couples not get their happily ever after (or even a happy for now). It took me a long time to realize queer relationships should not be hidden and deserve a happy ending as much as anyone else. 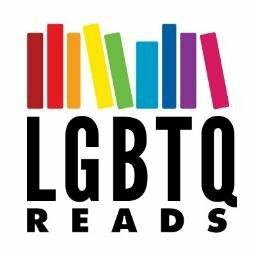 What are your favorite LGBTQIAP+ reads? What would you still love to see in LGBTQIAP+ lit? More great ace rep. More characters exploring their gender identity. More queer casts (because we really do flock together). And more intersectionality in terms of race, disability, but also culture and religion. I think we have some fantastic lit out there already, and I’m so excited to see it continue to grow and expand. But there is such a vast spectrum of LGBTQIAP+ experiences, and I’d love to see more, more, more of it. What advice do you have for teens who come to you for advice on how to come out? I usually tell them two things. One, be proud of who you are, regardless of what the world tells you. And two, safety first. It’s unfortunately still the case for all of us queer folk that being out can be dangerous, whether it’s because of family, work, or living in a bigoted environment. So while I understand the need to be out – I wouldn’t want anyone to feel like they can’t be who they are and I will support anyone who wants to take that leap – it’s so, so important to start with people you know you can trust and to consider safety nets, support systems, and your own well-being. Because you matter so much. What are some of your favorite queer-centric things on the Internet? TWITTER. Okay, but it actually is at that. I practically grew up on the internet. As a baby queer, I found a lot of information and a good part of my community online, through forums, writing groups, and fanfic. But never before to the extent and scope of (my corner of) the queer community of Twitter. These days, I find myself going more private again too, but knowing it’s out there and we’re not alone is invaluable. A story with an ace main character. And I’m *so* excited about it. CANNOT WAIT. Marieke’s book, This is Where it Ends, is on sale now, and here’s where you can buy it! Previous PostUnder the Gaydar: Bad Girls EditionNext PostCover Reveal: Cinnamon and Cigarettes by Samantha Kate!